Some good news. The Autumnal Equinox, aka the Fall Equinox, arrived on September 22. Golfer-extraordinaire Tiger Woods is back as a winner with his first victory since 2013 and America is ecstatic. 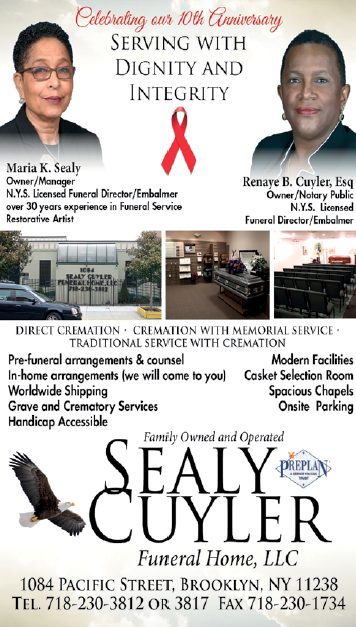 It happened on Sunday, September 23, the second day of fall, the most beautiful season in the American Northeast…. Now for business as usual America! Does the Brett Kavanaugh Supreme Court proceedings and its Christine Blasey Ford episode remind you of the 1991 Clarence Thomas Supreme Court proceedings with Anita Hill? Will history repeat itself? Watch the Judiciary Committee in action interrogating Ms. Ford on Thursday. President Donald Trump’s 9/25 address at the new UN General Assembly Diplomatic Debate was a lot of bellicose chatter about “America First” among the family of nations. He attacked allies like Germany and foes like Iran and Venezuela. He warned that the US will reduce its payments to the UN and monitor peacekeeping operations, will not attend any Migration Studies, saying that people need to stay in their own country to make their country great. While applauding himself for America’s great economic strides during his tenure, the audience of heads of state and diplomats laughed, seemingly to his chagrin. The 2nd Annual Bloomberg Global Business Forum, an invitational, will be held on 9/26, concurrent with the General Assembly session. It is an opportunity for global heads of state and CEOs to discuss their visions for “sustainable economic development and to work together towards common goals.” The Bloomberg Forum ostensibly replaces what the Clinton Foundation did during the UNGA season, which was called the Clinton Global Initiative. 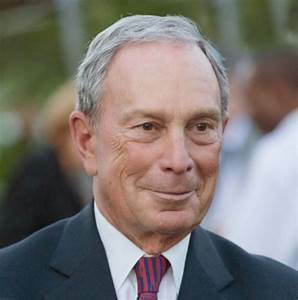 Michael Bloomberg announced last week that he would revisit interest in a 2020 Presidential run. Caribbean VIPs: His Excellency Gaston Browne, Prime Minister of Antigua/Barbuda, addresses the General Assembly on Friday, September 28 at 5 p.m. Her Excellency Mia Amor Mottley, Prime Minister of Barbados, also addresses the General Assembly on Friday, September 28. Both Caribbean Prime Ministers have been invited to and will attend the Bloomberg Global Business Forum. The US cut $185 million in financial aid to Palestinian refugees, hoping to coerce the Palestinian President to US-led peace talks with Israel. On Thursday, 9/27, foreign ministers from Germany, Jordan, Sweden, Japan and the EU will co-host a lunch with the UN Secretary-General to find ways to fill the funding void created by the United States. Americans were not invited to lunch. The New York-based December 12th Movement organized a Harlem Welcome Parade for the Zimbabwe delegation to the UN last week. 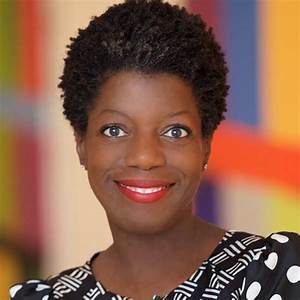 FINE ARTS: Congrats to Thelma Golden, Studio Museum in Harlem Executive Director, one of three prominent cultural denizens who were recipients of the J. Paul Getty Medal in Los Angeles on 9/24. The LA Times essay, “From 125th Street in Harlem, Thelma Golden has changed the Face of Art all over the USA.” Quotes James Cono, JP Getty Trust President/CEO, “You cannot say African-American arts without saying Thelma Golden.” He adds, “You cannot say contemporary art without saying Thelma Golden.” Essay disclosed that Golden was a contender for the top job at New York’s Metropolitan Museum of Art last year after its director was ousted. Had no idea that she was running in such rarified circles. RIP: Phyllis Anderson, beloved sister of Dr. Norma Goodwin, MD, passed away on September 9 from complications related to congestive heart failure associated with COPD. She and her sister co-founded Health Power for Minorities, an online health info service which was formerly known as Health Watch Information Services. 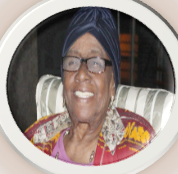 A retired science teacher, Ms. Anderson participated in various National Medical Association (NMA), the Black doctors organization, regional conferences stateside and in the Caribbean. 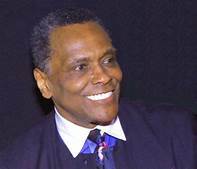 RIP: Trailblazing dancer/choreographer Arthur Mitchell, 84, passed away last week. Harlem-born talent, a graduate of the FAME school, the HS of Performing Arts, Mitchell shattered myths about Black dexterity in classical dance while reaching mythic heights with his dance prowess. He was a star dancer with the NYC Ballet, which had no Black dancers before his arrival. Eventually a NYC Ballet lead dancer, he was applauded nationally and internationally during his NYC Ballet tenure from 1956-1968. Summoned to Brazil to start a dance company catering to Afro-Brazilians, Mitchell decided to stay put in NY where he founded the Dance Theater of Harlem, the nation’s first major Black classical dance company which had a touring company that performed in South Africa, the Soviet Union, London and other European capitals. The Latin Roots East Harlem Exhibition is an intergenerational public arts and education show celebrating local culture runs from October 2 to January 31 at Galeria del Barrio, Hope Community, Inc. A special opening-night reception will honor seven community luminaries including artist Marcos Dimas; Dr. Georgina Falu, scholar/entrepreneur; educator/filmmaker Iris Morales; and community advocate Carmen Vasquez.